Why: The emergence of the rural industry as an important growth engine for the economy makes it an imperative for us to stress on skilling our youth in remote districts of the country. JSSs can play an important role in bridging information asymmetry between skill training and market opportunities thereby giving an impetus to the creation of a workforce equipped in technology-driven skills, including in areas like health & wellness, tourism, e-commerce, retail and trade. 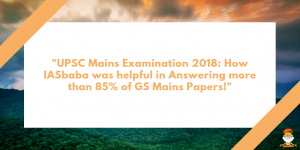 JSS guidelines have been reformed keeping in mind the diverse stakeholders engaged in running these institutions, and will bring in greater flexibility, transparency and uniformity. Jan ShikshanSansthan has been transferred to the Ministry of Skill Development & Entrepreneurship in 2018. JSS has been aligned to the National Skill Qualification Framework (NSQF). This marks an important step towards the convergence of all skilling activities under the aegis of one ministry, bringing in transparency and accountability to the entire skilling ecosystem. Jan ShikshanSansthan (JSS) has been instrumental in skill training and introducing avenues of entrepreneurship among the socio-economically backward and educationally disadvantaged groups such as neo-literates, semi-literates, SCs, STs, women and girls, slum dwellers, migrant workers. JSSs have helped open over 1 lakh bank accounts under Pradhan Mantri Jan DhanYojana (PMJDY) and mobilized around 7.5 lakh beneficiaries who were enrolled in Pradhan Mantri Suraksha BimaYojana (PMSBY). With a substantial rise in establishment of more than 1 lakh entrepreneurs, JSS has successfully generated employment across various sectors. Earlier known as ShramikVidyapeeth and later renamed Jan ShikshanSansthan in April 2000, the scheme has been successfully working for the past 50 years. Mahila Kisan Shashaktikaran Pariyojana and Value Chain Initiatives: In order to promote agro-ecological practices that increase women farmers’ income and reduce their input costs and risks, the Mission has been implementing MKSP. DAY-NRLM has also made significant efforts on creating value chain development interventions to enhance market linkages. The idea is to develop a complete business model to provide primary producers with end-to-end solutions from creating producer organizations to building marketing linkages. Start-up Village Entrepreneurship Programme: DAY-NRLM has been promoting SVEP to promote and strengthen rural start-ups in the non-farm and off-farm sector. The strategy is to promote knowledge about business feasibility, management and to provide access to loan finance for start-up as well as scaling-up the existing enterprise. Aajeevika Grameen Express Yojana (AGEY) was launched to provide safe, affordable and community monitored rural transport services to connect remote rural villages. The eCourts project has made significant progress under the guidance of e-Committee of Supreme Court of India in computerizing district and subordinate courts of the country through installation of case information software, hardware and local area network in courts. They are also being connected on Wide Area Network through a dedicated network offering bandwidth upto 100 Mbps. eCourts services have now been successfully rolled out through SMS, email, web, mobile app etc. benefiting millions of litigants and advocates. To ensure affordability, Department of Justice has decided not to charge any fee from the customers for eCourts related services delivered through CSC’s. However towards cost of service, CSC’s has been authorized to charge Rs.5/- for any of the 23 services available on Courts portal. Printing charges will be Rs.5/- per page, if it is more than one page. The World Integrated Medicine Forum on the regulation of Homoeopathic Medicinal Products with the theme ‘Advancing Global Collaboration’ was inaugurated. Why: More than a billion patients worldwide are demanding safe and effective medicines for their healthcare. As a result, the demand for Homoeopathy is growing. There is still a highly disparate situation among countries with regard to the regulations of homeopathic medicines and this directly affects the availability of these medicines. Western medicine is today facing a huge challenge of management of non-communicable diseases which can be tackled by means of safer medicines. Excessive use of anti-biotics, pain-killers, anti-depressants, anti-hypertensive, statins, etc. are causing much harm to the society. The core aim of the forum is to sensitise more and more stakeholders to the needs and challenges of regulating HMPs, by providing an appropriate stage to discuss such issues, and not to enforce or impose what is deliberated. AIMF aims to further develop evidence-based Traditional, Complementary and Integrated systems of Medicine (TCIM) by promoting public-private co-operation, where the public and private sectors are the ‘actors’, while patients and health care providers are the ‘drivers’. The legitimate and increasing demand for homeopathic products by patients and health care providers worldwide needs to be balanced by appropriate regulatory framework which proportionally addresses quality, safety, effectiveness and availability of medicines. To achieve this, the role of regulators, industry and respective countries are intertwined. India is the rightful host to such a forum, given its openness to medical pluralism, both politically and culturally. MoC between India and Japan in the field of Food Processing Industry: Bilateral cooperation in the field of food processing between India and Japan will be mutually beneficial to the food processing sector in both countries. It will promote understanding of best practices in food processing in the two countries and will help in improving the food processing sector as well as improved market access, leading to equity and inclusiveness. Memorandum of Understanding between India and Kuwait for cooperation on the Recruitment of Domestic Workers: The MOU provides a structured framework for cooperation on domestic workers related matters and provides strengthened safeguards for Indian domestic workers including female workers deployed in Kuwait. The MOU is initially valid for a period of five years and incorporates provision for automatic renewal. Creation of the National Bench of the Goods and Services Tax Appellate Tribunal (GSTAT): Goods and Services Tax Appellate Tribunal is the forum of second appeal in GST laws and the first common forum of dispute resolution between Centre and States. Being a common forum, GST Appellate Tribunal will ensure that there is uniformity in redressal of disputes arising under GST, and therefore, in implementation of GST across the country. There is an importance of financing and credit for retrofitting and upgrading toilets towards sustaining the gains made over the past four years. Water and sanitation are already a part of the priority sector lending framework of the Reserve Bank of India under the social infrastructure category of banking finance. The Swachh Bharat Mission has made rapid strides in rural sanitation over the past four years, with sanitation coverage increasing from 39% in 2014 to over 98% today. 5.47 lakh villages, 600 districts and 27 States and UTs have already been declared Open Defecation Free. India is on track to achieve ODF status by 2nd October, 2019.
e-NAM platform: The start of online inter-state trade through the e-NAM portal this month is a landmark achievement in e-NAM history and its strengthening in future will definitely add a new chapter to Agricultural marketing in the Indian context. India and Maldives held substantive discussions on further strengthening bilateral defence cooperation. Both side agreed that the two countries would continue their traditionally close cooperation on issues of maritime security, counter-terrorism and medical cooperation. This standard would enable the oil companies to manufacture bio-jet fuel for the Indian aviation industry. Given the advent of Carbon Offsetting and Reduction Scheme for International Aviation (CORSIA) by the International Civil Aviation Organisation (ICAO) by 2027, this is a significant development which could reduce the carbon emissions and help India become a green fuel production hub. Long Range Surface-to-Air Missile (LRSAM) has been successfully test fired against an incoming aerial target flying at low altitude. 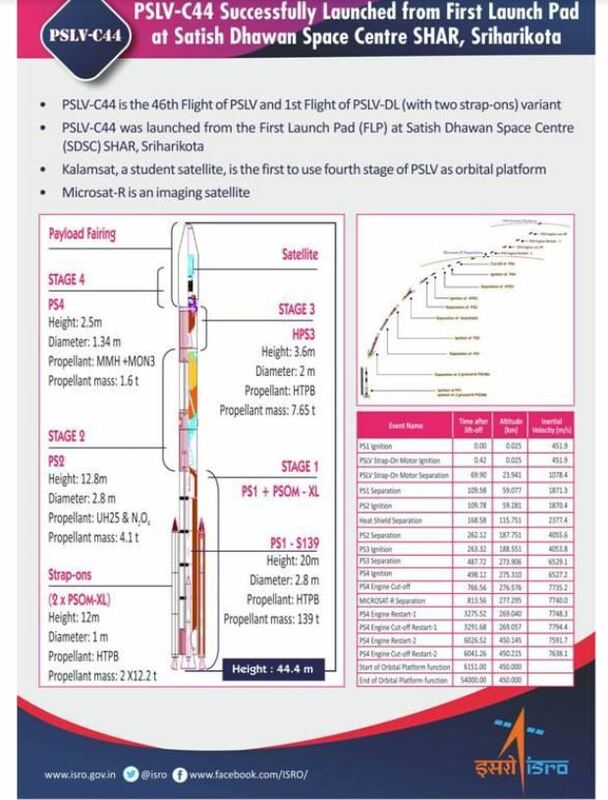 Successful launch of PSLV: With this launch, India also becomes the first country to use the fourth stage of a space rocket as an orbital platform for micro-gravity experiments. Conceptualised and led by the Indian Navy and Coast Guard saw the simultaneous activation of India’s entire Coastal Security apparatus across all nine Coastal States and four Union Territories. The exercise saw the complete support and earnest participation of all Central and State agencies including the MHA, MoD, Customs, CISF, Dept of Fisheries, DGLL, DG Shipping, Port authorities and the Coastal police of all participating states. Nigrani: Phase I commenced with the deployment of personnel and sea-going units of all stakeholders. This is the surveillance net along the entire coast of India and outlying islands. It was further enhanced by the Chain of radar stations setup along the coast as part of the Coastal surveillance network. Nireekshan: The uniform and technical surveillance network was further augmented by the fishing communities along the coast as the ‘eyes and ears’ of the nation’s coastal security construct. The Phase I also saw an intensive audit of all measures put in place since 26/11 to improve the measures of efficiency and effectiveness of coastal security. This ‘Nireekshan’ was undertaken by multi-agency teams deployed to check and audit important landing points including Fish Landing Centres and Vulnerable areas and important installations along the coast as well as in the hinterland. Nakabandi, Phase II: This Phase saw attempts to penetrate and land dummy explosives by designated ‘RED’ forces comprising teams drawn from the Navy Coast Guard, Police and CISF. These teams were given a free hand to commandeer fishing vessels, merchantmen etc and attempt to reach the coast. 8-10 teams were deployed in each state and it is to the credit of all participating agencies that only a few ‘attacks’ were successful. Many attacks were allowed to ‘go-through’ to test robustness of Police ‘Nakabandi’ which was found to be very effective throughout the exercise. Kalamsat-V2, a student payload, first to use PS4 as an orbital platform – this flight marked the first mission of PSLV-DL, a new variant of PSLV with two strap-on motors. Development of rural areas should not erode their unique identities but must fortify their spirits. Educational institutions must re-orient their curricula to ensure that students spend time in rural areas, interacting with people and understanding their problems. 3 ‘D’s – Demography, Demand and Democracy are making the India of today outshine other countries in the world. We have to constantly innovate and reinvent our agriculture to make farming rewarding, profitable and sustainable. The facilities in villages must resemble those of a city but the soul and the values of Indian villages, must be preserved. ‘One size fits all’ approach will not ensure development in a vast and diverse country like India. ‘Every village has its own individuality, its own industries & its own developmental needs. Our plans should capture aspirations of the people, leverage their strengths & mitigate their weaknesses’. India is continuously focussing on equitable, inclusive growth and on bridging income inequalities. Jan Dhan Yojana, Saubhagya and Ujjwala stand testament to the core values of inclusiveness that India adheres to. India will not tolerate negative forces like terrorism and corruption that negate human progress and prosperity. Tamil Nadu is one of the best-performing states of India and has emerged as one of the most sought-after investment destinations. India accounts for about 15% of global growth and it has been estimated that the Indian economy would grow to $10 trillion by 2030. Plastics pose a developmental dilemma; we must use plastic responsibly and judiciously. The country’s plastics industry also offers immense potential in terms of capacity, infrastructure and skilled manpower – the need to adopt better waste management technologies, involving a circular economy approach, where used plastic becomes a feedstock rather than a waste. There has to be a proper appreciation of the appropriate use of different plastics. Focus more on developing indigenous technologies and innovations on products in order to facilitate export growth. Advanced cancer treatment must be made available at an affordable price and should also be made available for those living in rural areas. Make advanced cancer treatment accessible and affordable to all sections. Awareness and early detection are crucial for winning war on cancer. Governments, NGOs & Hospitals must organise cancer awareness camps in a big way. Public Private Partnership is the best way to bridges the urban rural divide in healthcare. It should be a matter of concern for all stakeholders in the health sectors that millions get pushed into poverty and the vicious cycle of debts due to out-of-pocket expenses and high treatment costs. Proton Therapy would be a beacon of hope to people; the cutting-edge of cancer treatment gives many more patients greater strength to battle cancer and lead fulfilling lives. It isolates the affected area, without causing any harm to adjacent organs and hence is the most suitable for treatment of cancer in children, and complex cases where cancerous organs are closely located to crucial life-critical organs. Ayushman Bharat scheme is a major flagship initiative of the Union Government to provide comprehensive insurance coverage to 10 crore poor and vulnerable families, it would establish 150,000 health and wellness centres throughout India to provide affordable and quality health services.